23 Things #5 – RSS and Feed Readers | ed. tech. for. me. RSS Logo, courtesy Marcos Vecino Rosado on Flickr. Used under Creative Commons 2.0. Because of this, 23 Things Kansas’ suggested activities for this lesson might be a little, well, under-challenging (is that a word?). Activity #1 suggests signing up with a feed aggregator site and adding RSS feeds to it (done…). Activity #2 suggests adding “bookmarks” with your RSS feed of your site. If you look in the sidebar (to the right), you will see a section called “RSS.” I actually provide at least three feeds for my readers: one is for all the posts, one is for just posts in the “Quick Review” category, and one is for just the comments (this one is mainly for me). With WordPress-based blogs, you can actually “create” a custom feed of a site by just adding “/category/tag-name/feed/” at the end of their main site’s URL. For example, if you follow a cooking blog, and you want an RSS feed of just their “Recipes” category, after the .com part, just add “/category/Recipes/feed/” (without quotes) after .com. Again, this only works if it’s a WordPress-based blog. Instead, I will simply mention a couple of my favorite RSS aggregators for the iPad. First is “The Early Edition” by Glasshouse Apps. This one takes your feeds and makes a sort of digital “newspaper” complete with masthead and different sections. If you create categories for your feeds (sports, news, movies, etc. ), then each of those categories can have their own section in your “newspaper.” The Early Edition can also import your Google Reader feeds, but it does not “sync” with it, so it’s hard to switch back and forth between the two. The other app, which I use more often, is “Flipboard“. This one is similar to The Early Edition, but there’s something about it that’s just more “polished.” It also at least attempts to sync your feeds with Google Reader, so if you read a post on your iPad, it will mark it as read in Google Reader. I have not always gotten that to work 100%, though. And if you don’t have an iPad yet, shame on you! iPad 2 is supposed to be announced tomorrow (March 2), so now is your time to jump on it! 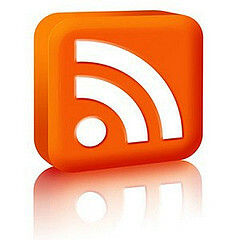 If you’re just now getting into RSS feeds, you owe it to yourself to get an iPad. 🙂 They make the experience of reading just about anything so much better and more accessible. If the thing can take someone like me (who does not normally read much) and make them someone who is constantly finding things to read on my iPad, I can just imagine how well it works for students!